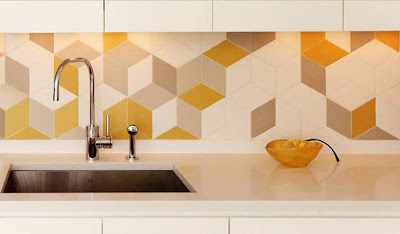 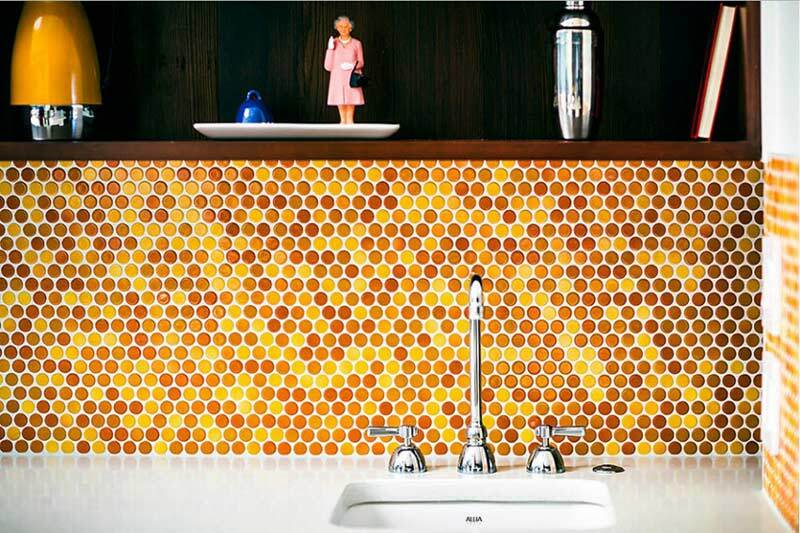 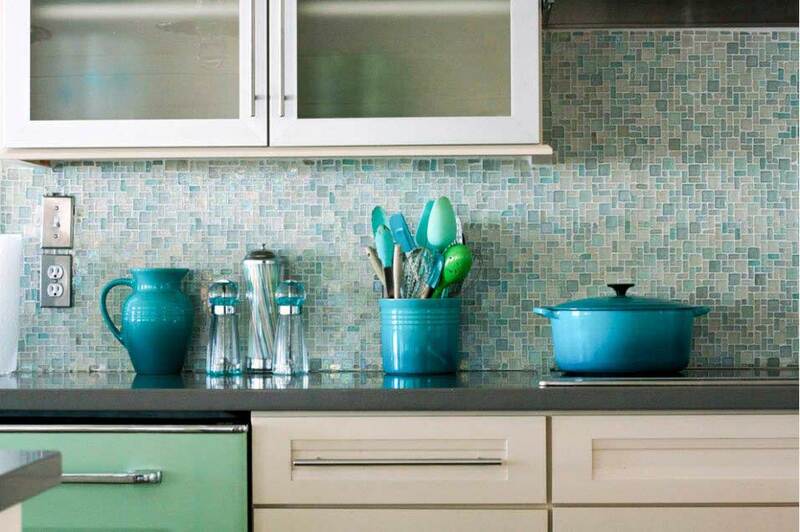 Successfully matched material for the kitchen backsplash can save the most ordinary interior. 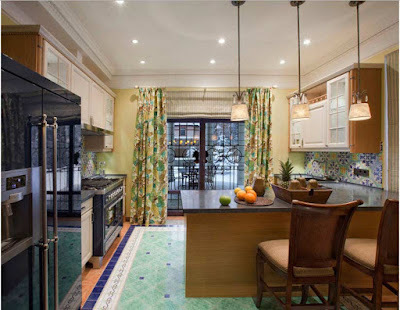 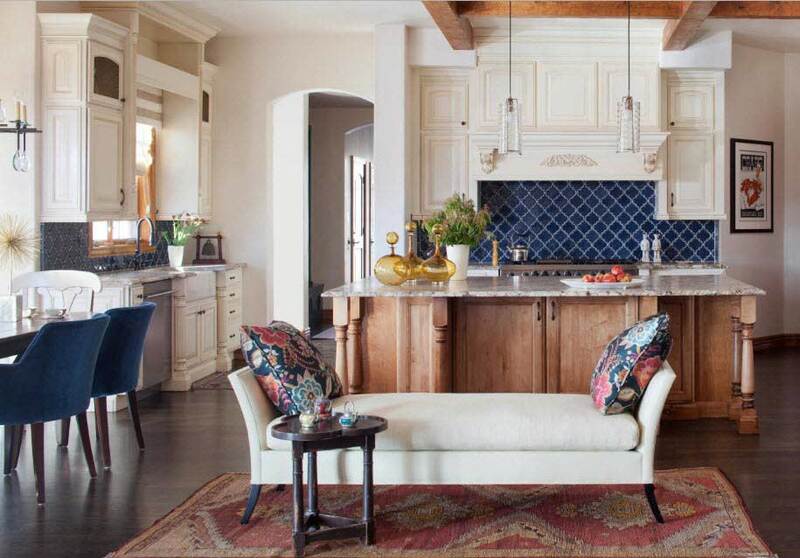 In fact, the kitchen backsplash in the interior design is just as subtle as the textiles. 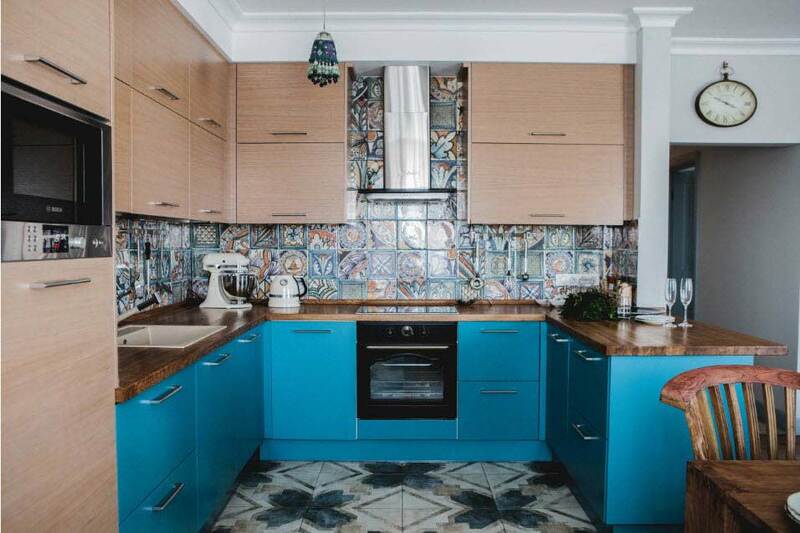 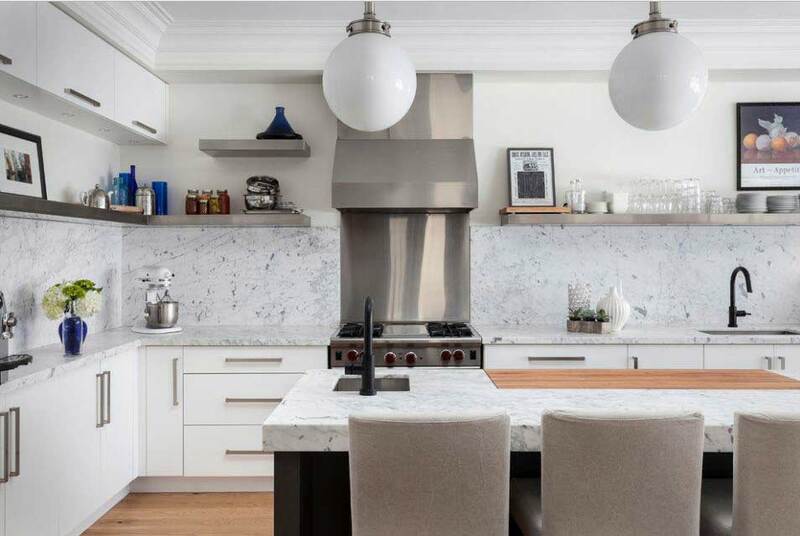 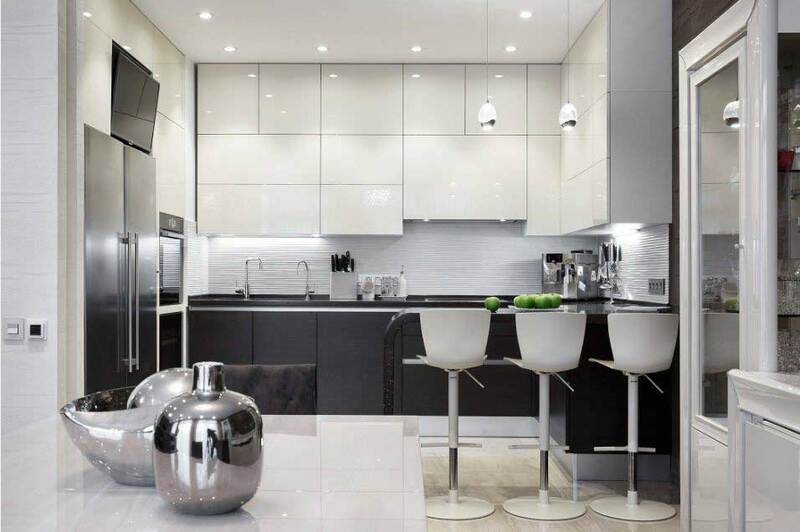 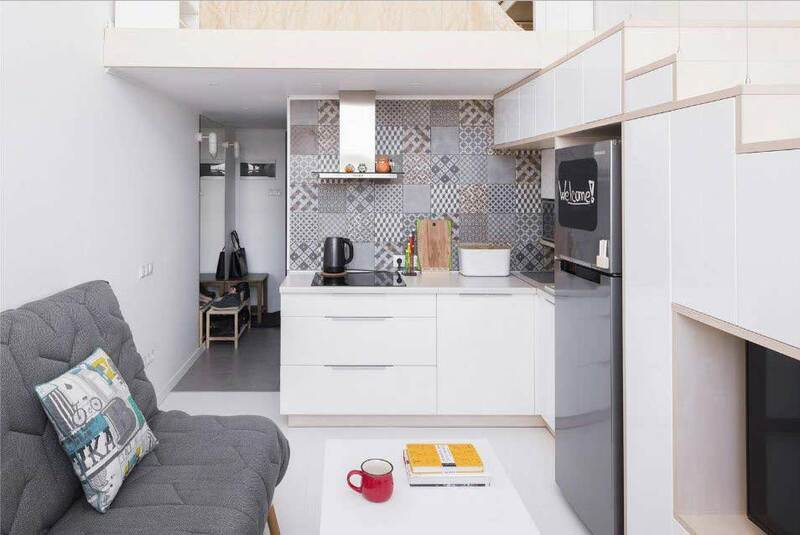 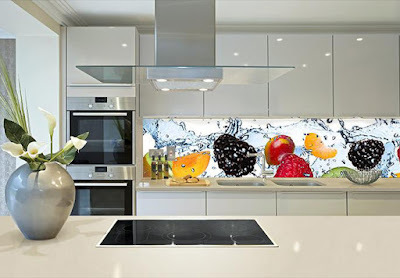 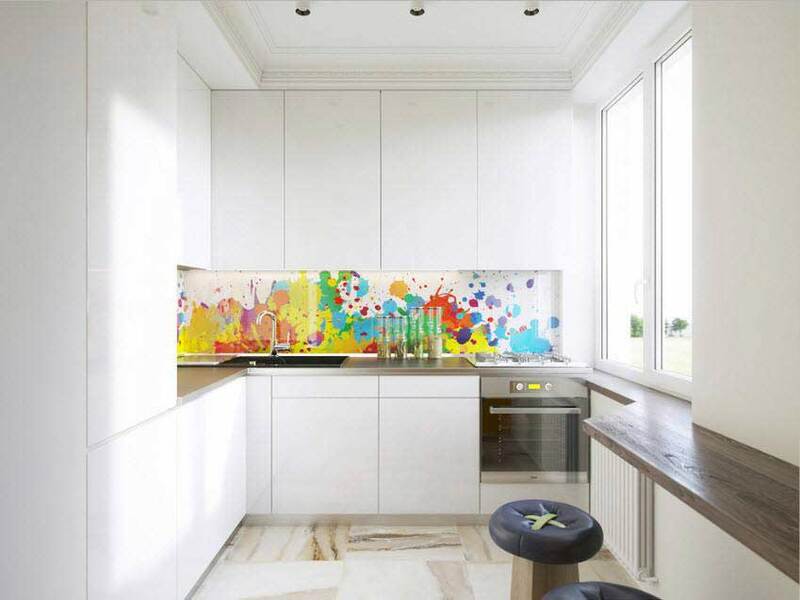 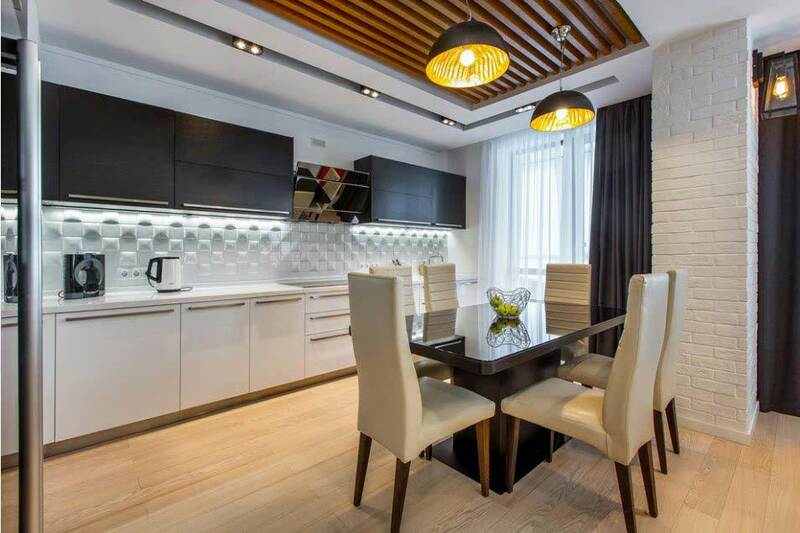 And in order not to make a mistake with him, gather all the materials that are in your kitchen - samples of facades, countertops, wallpaper, painting of walls, flooring - and already being guided by these stocks, proceed with the choice of the backslash itself. Also, a great role is played by the furnishings - a dining table with chairs, lamps, decor elements. 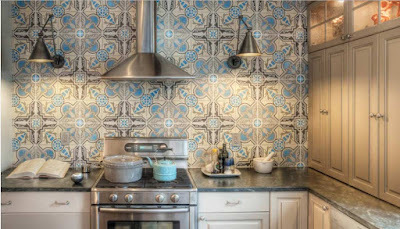 And only when you have a complete picture of the kitchen interior, you can safely embark on the concept of a backsplash. But first, answer yourself a number of questions. 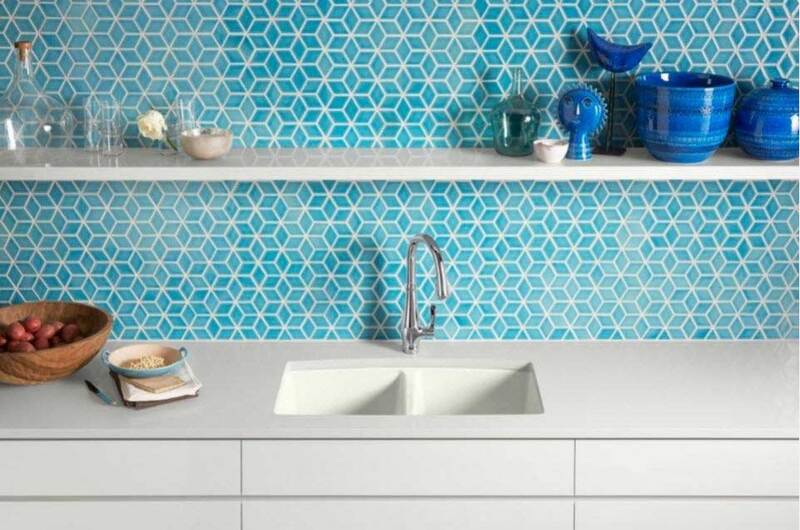 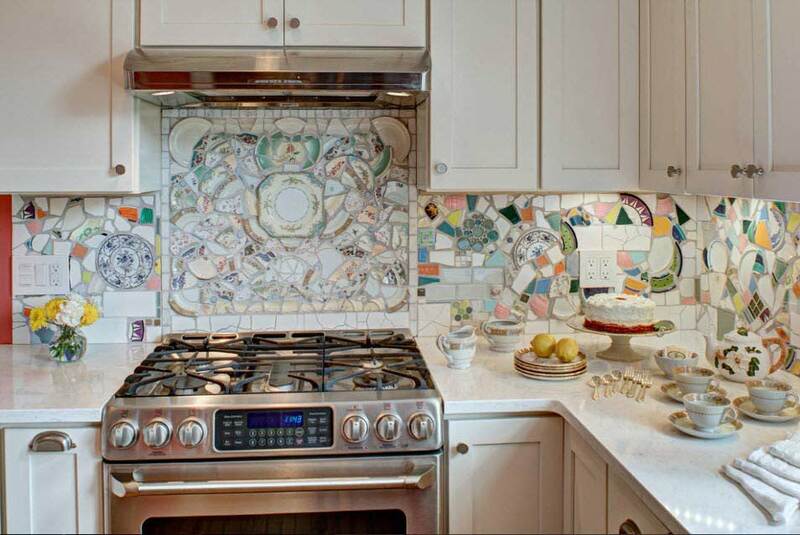 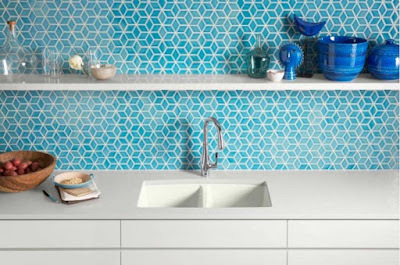 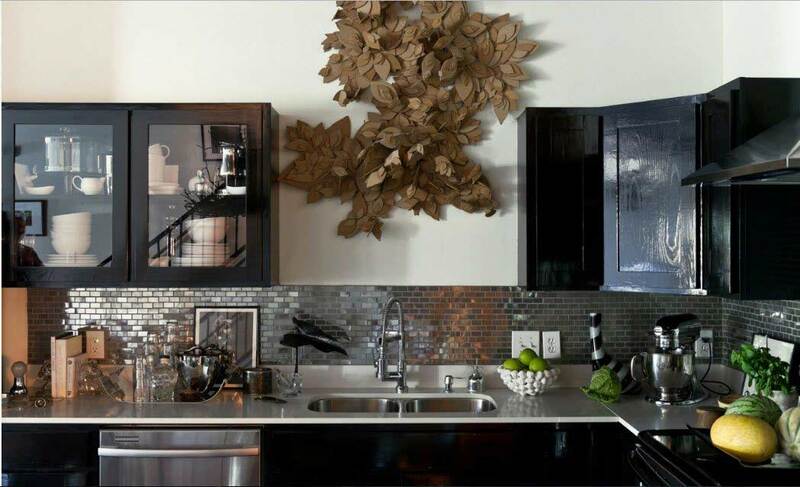 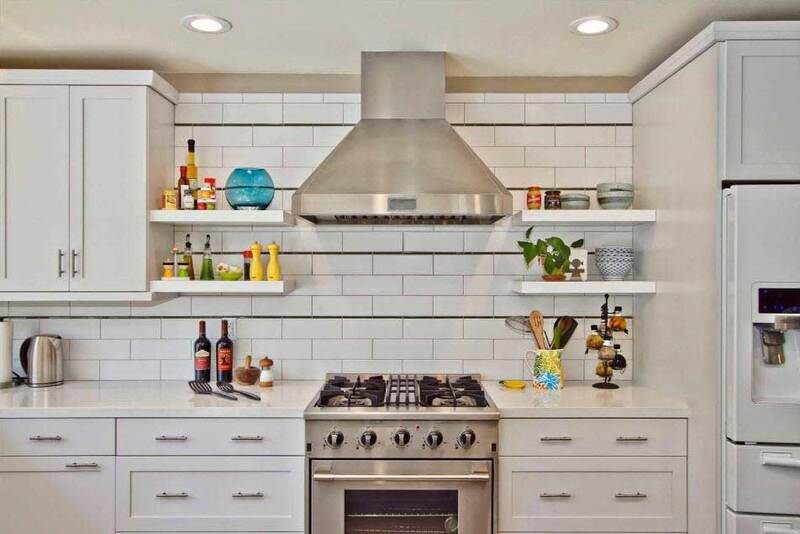 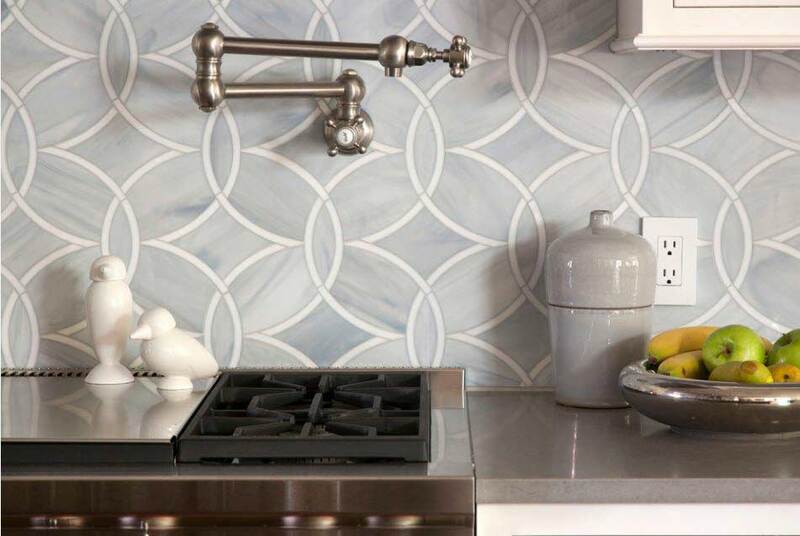 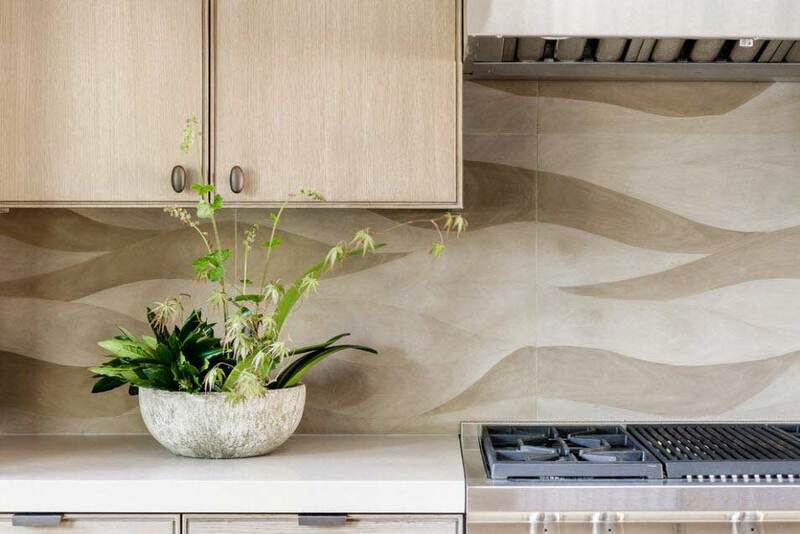 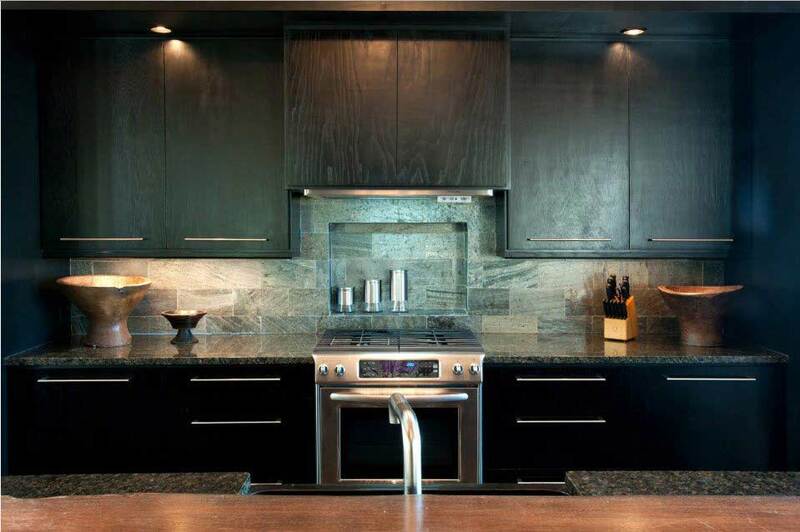 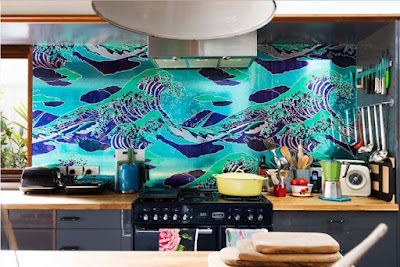 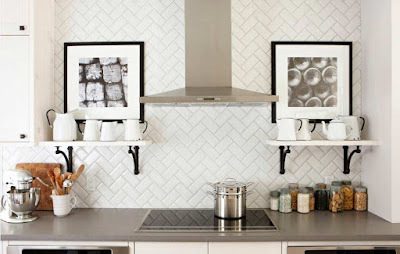 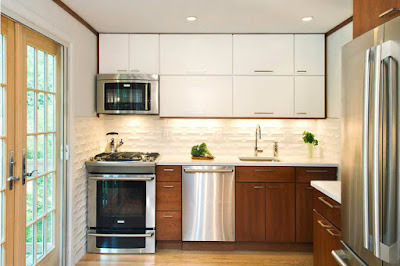 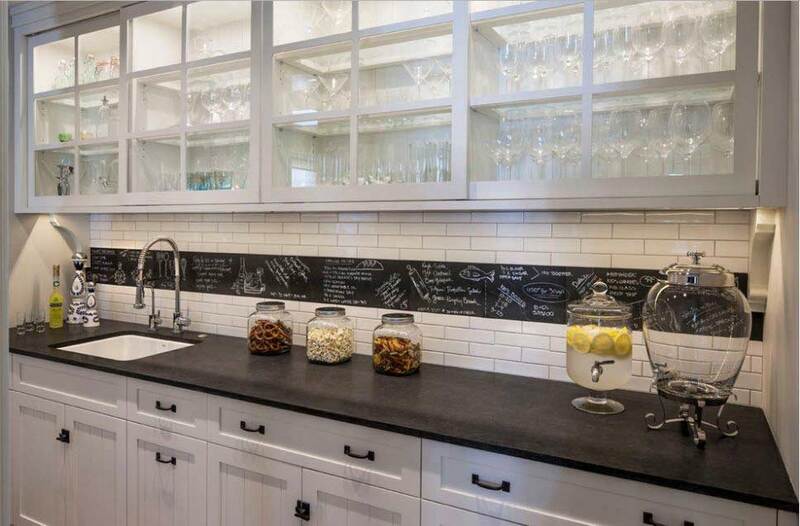 What effect do you want to achieve: make the backsplash an accent or leave it invisible? 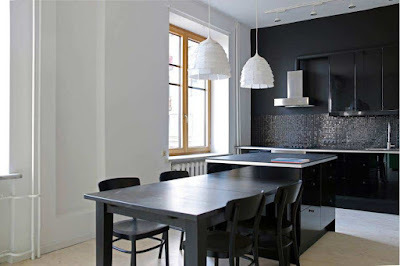 If all the same an accent, then how exactly: using material or color? When you want something special, without using bright colors at the same time, make a bet on the original texture. 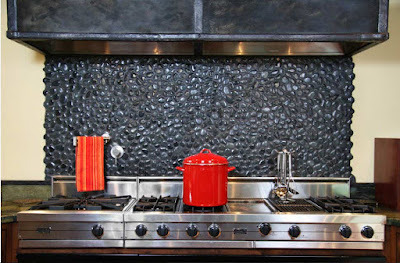 And let them wash such backsplash is not so simple, but the wow effect is worth it! 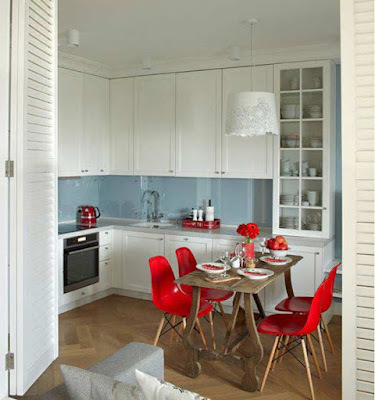 In confirmation of that, chic examples in the photo. 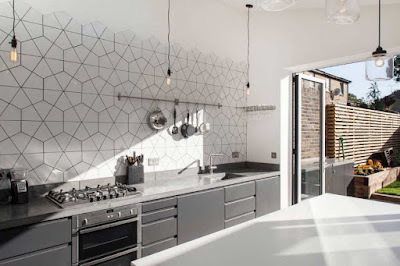 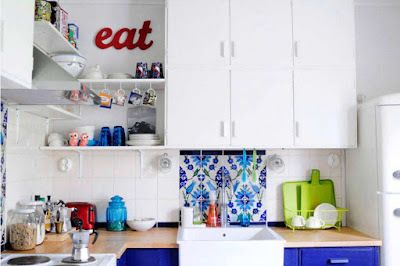 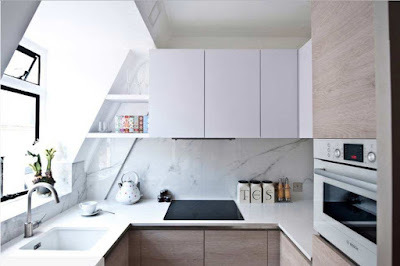 Against the background of monochrome kitchen facades, especially white facades, the bright backsplash is itself a self-sufficient element of decor, so it can only be combined with a limited number of similarly bright objects. Often the design assumes an emphasis on any one part of the kitchen composition. Basically, this is the area between the hob and the hood. 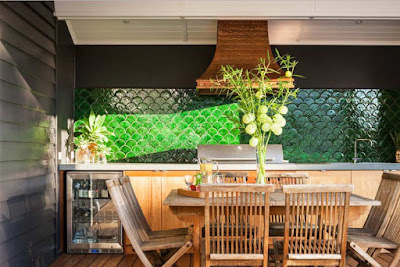 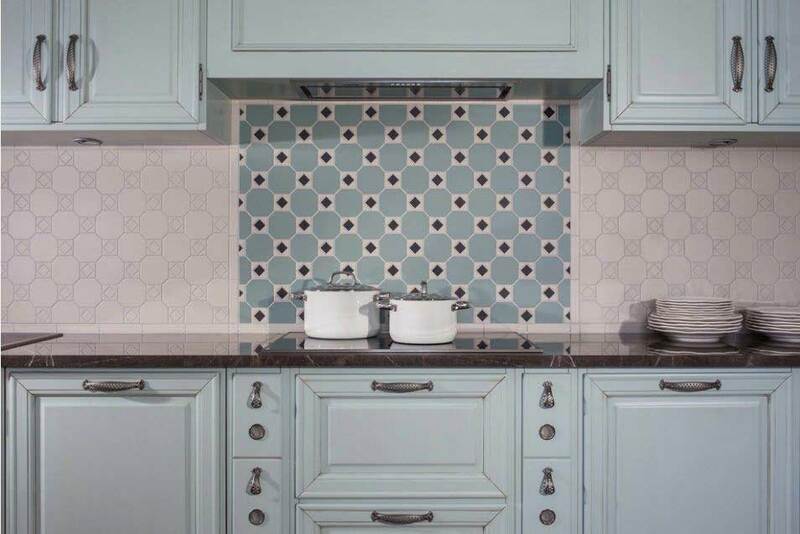 In this example, the color of the accent part of the kitchen backsplash and facades is perfectly combined with each other in the photo, while the hue of the remaining walls of the backsplash remains neutral. Often, designers act on the principle of opposites: white and black, glossy and matte. 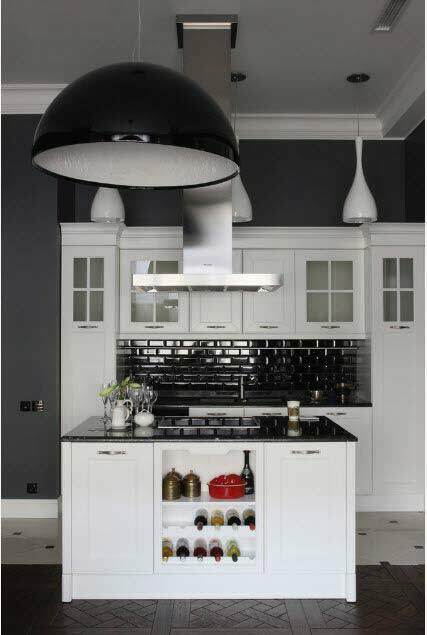 This device looks very impressive in the kitchen. 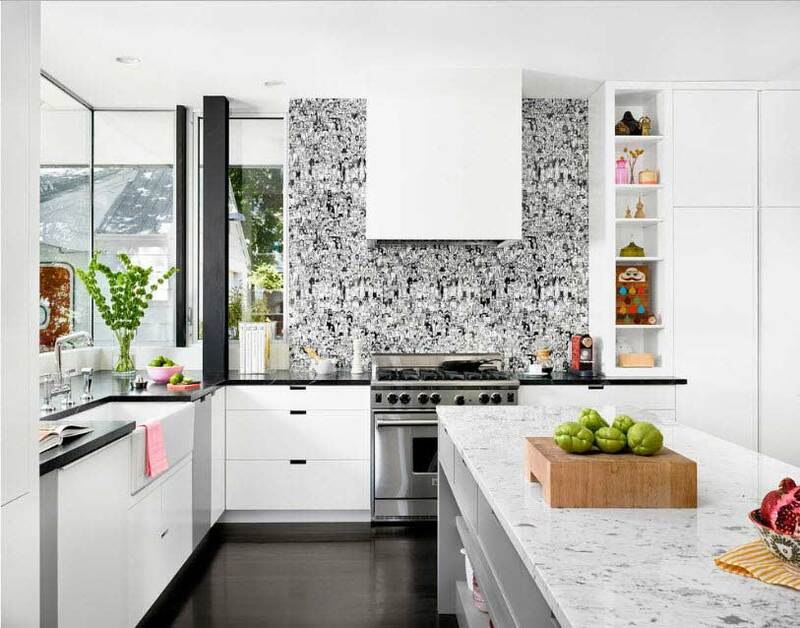 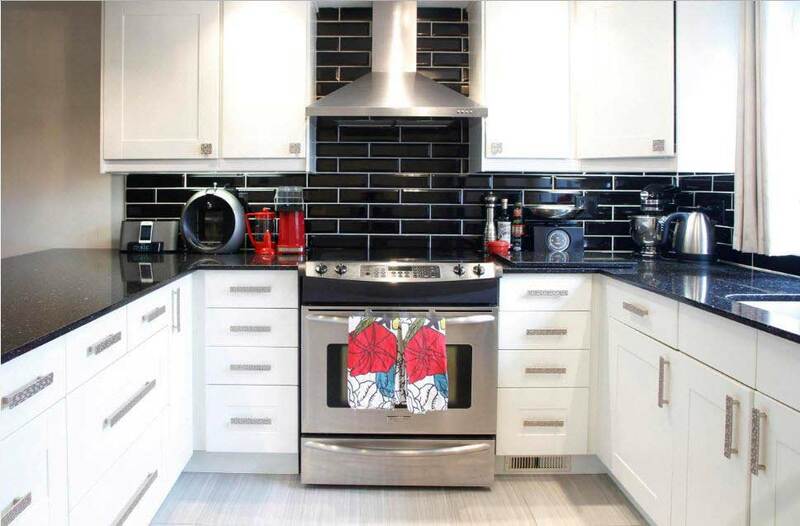 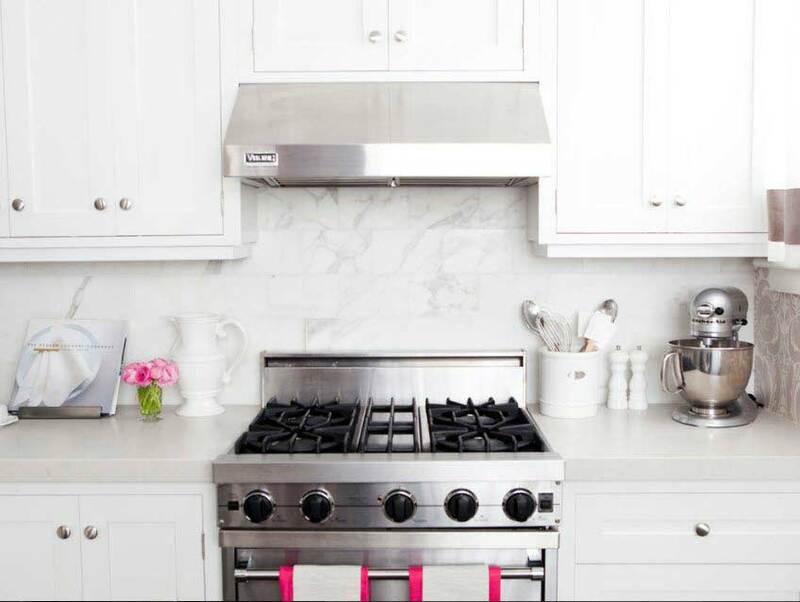 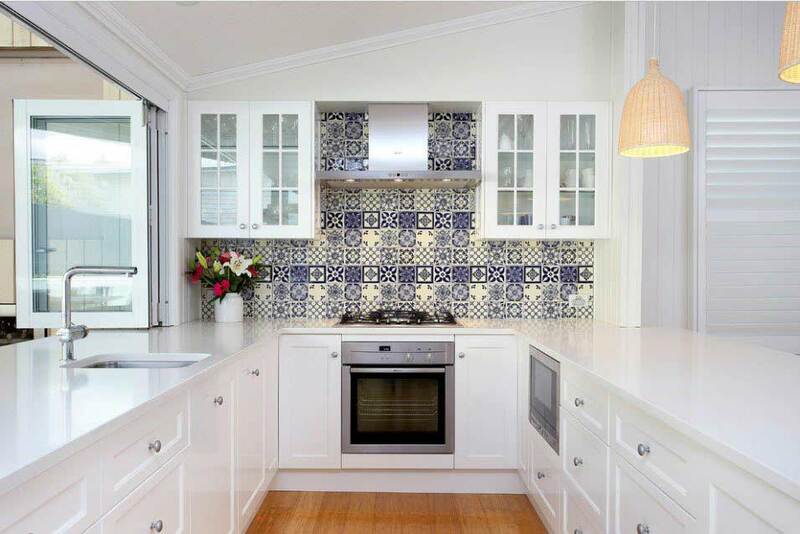 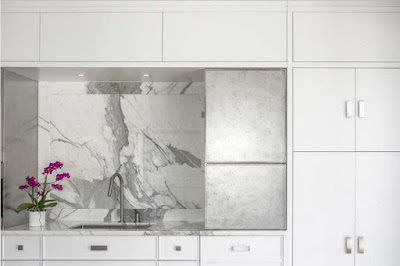 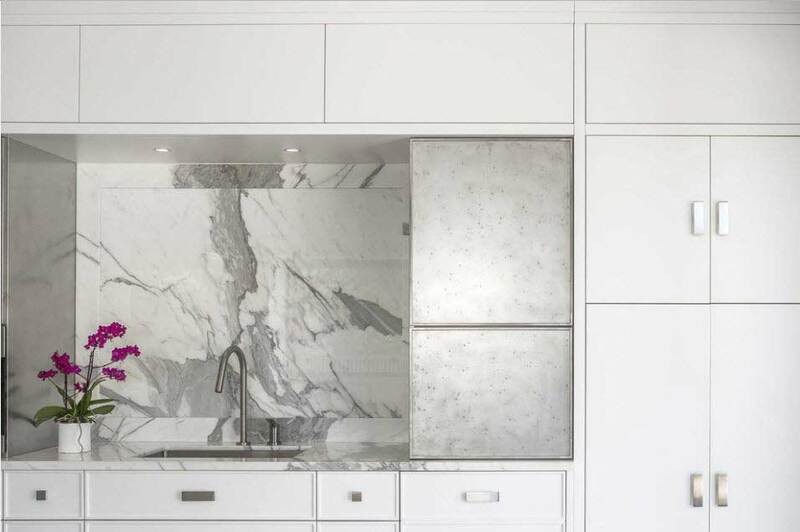 A matt white facade can add a glossy black backsplash. 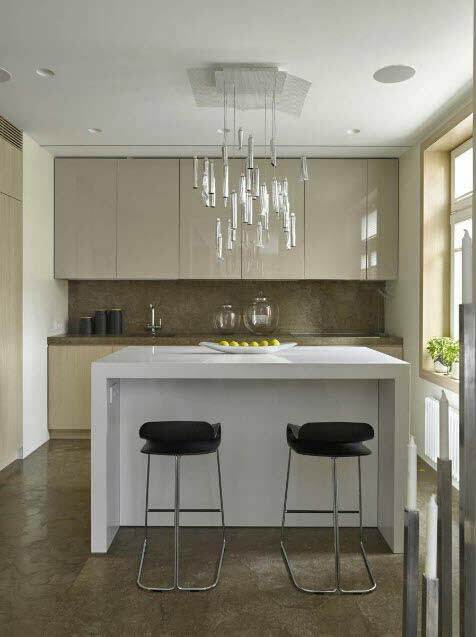 In the photo, it is still perfectly in harmony with the glossy countertop and lights. 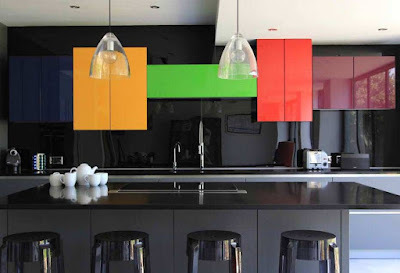 Remember that the colors of the components of the interior must echo with each other. 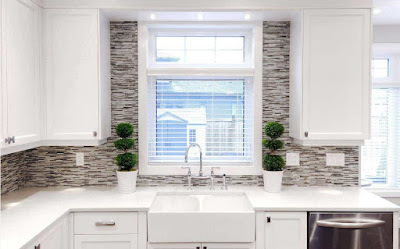 For example, in the kitchen to support the tint of the backsplash, there may even be an insignificant detail - a vase, a picture, a flower pot or a seat cover. 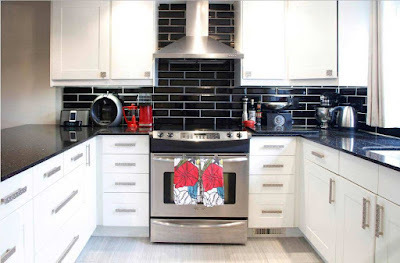 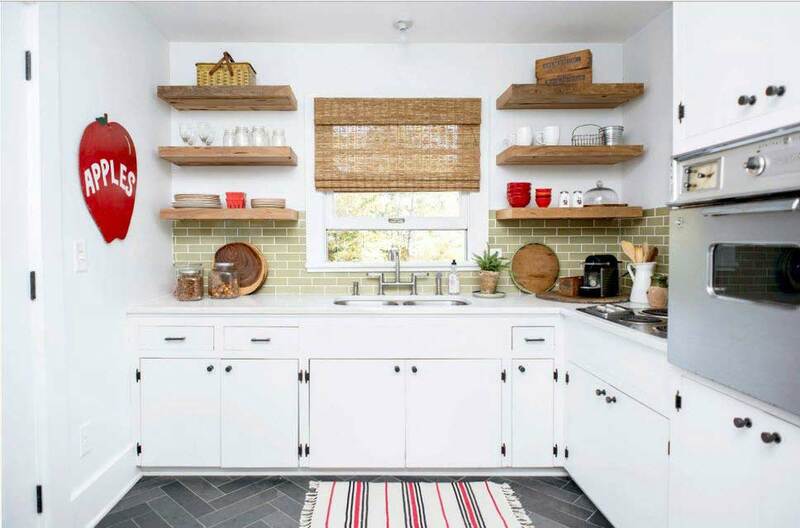 The color ornament of the backsplash and the tile floor "mat" in the same range is a great idea. 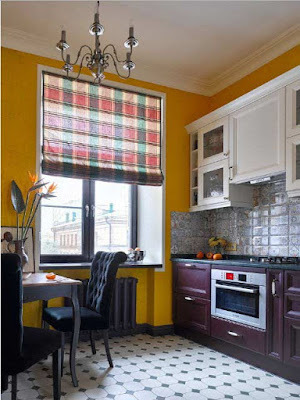 Ideal completion of the duo will be suitable textiles. When the main design preference is to level the very theme of the kitchen, then you do not need to glue the tile on the backsplash. 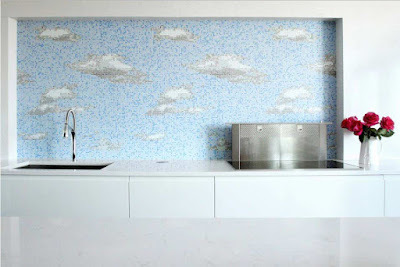 Most often this applies to the kitchen studio. Here in the center of attention, there should be a beautiful living room. 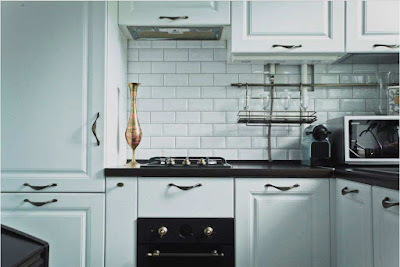 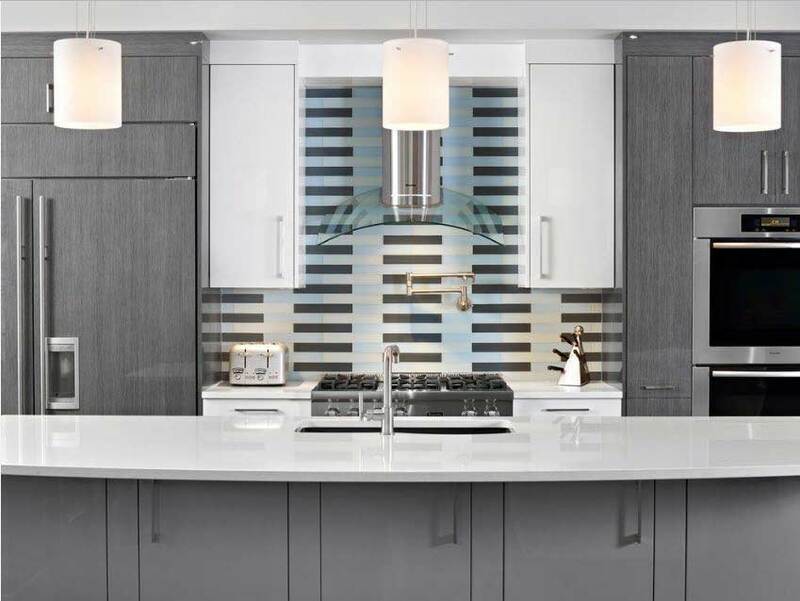 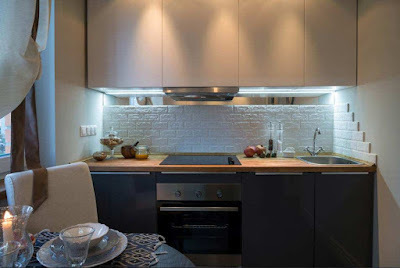 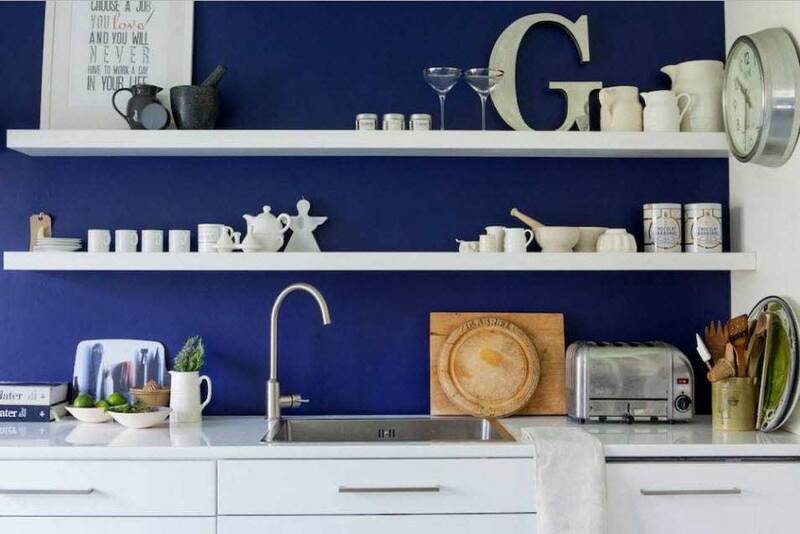 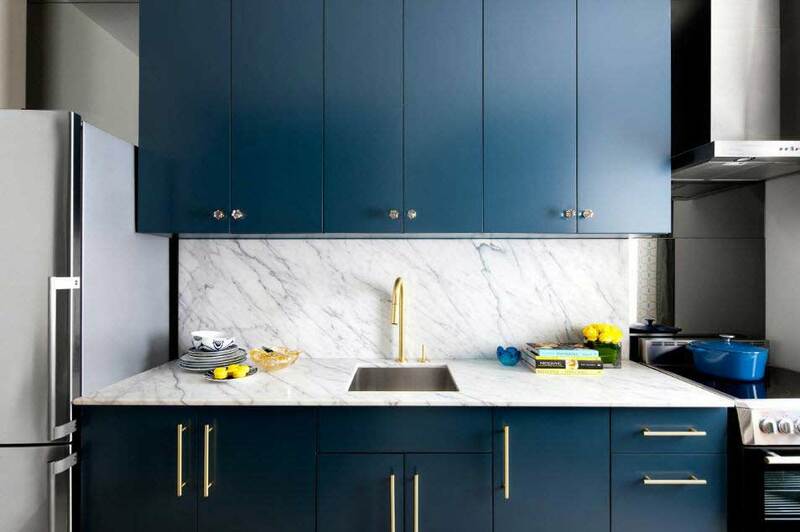 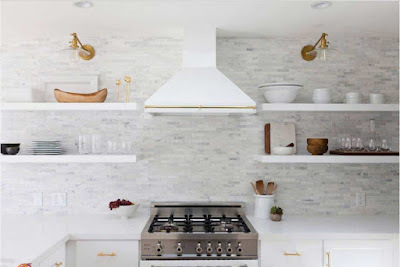 You can take on an excellent idea for armament: paint the backsplash in the color of the walls, and close the top with glass - stylish, neutral and practical. 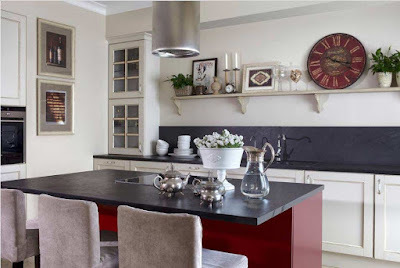 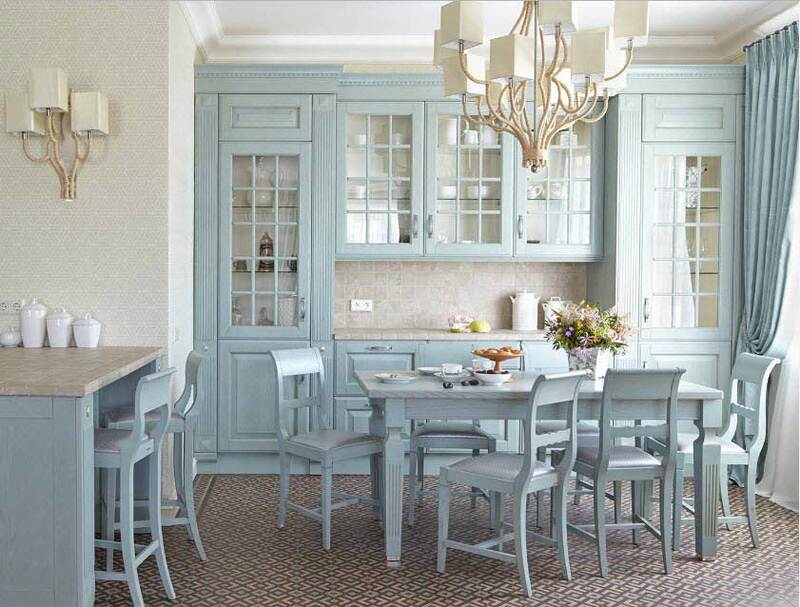 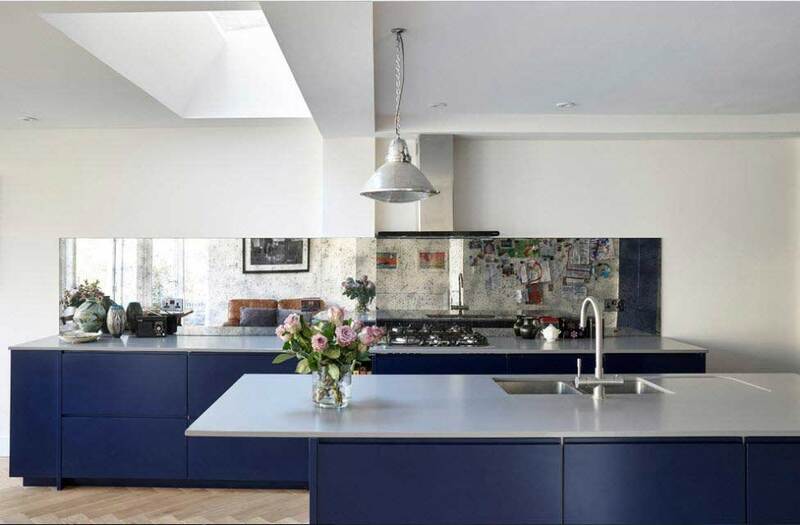 When you need to achieve a sense of integrity and ease, make sure that all elements of the kitchen interior fit together, but moderate contrast should not be ruled out. In the classical kitchen, the 10x10 tile, laid at right angles or diagonally, but with contrasting seams, will look great. 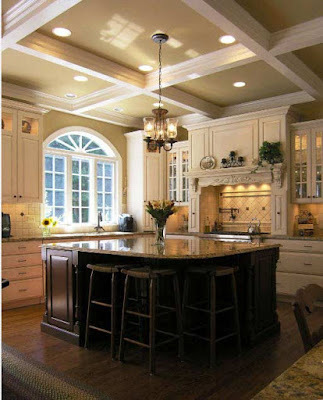 The emphasis can be made on the island. 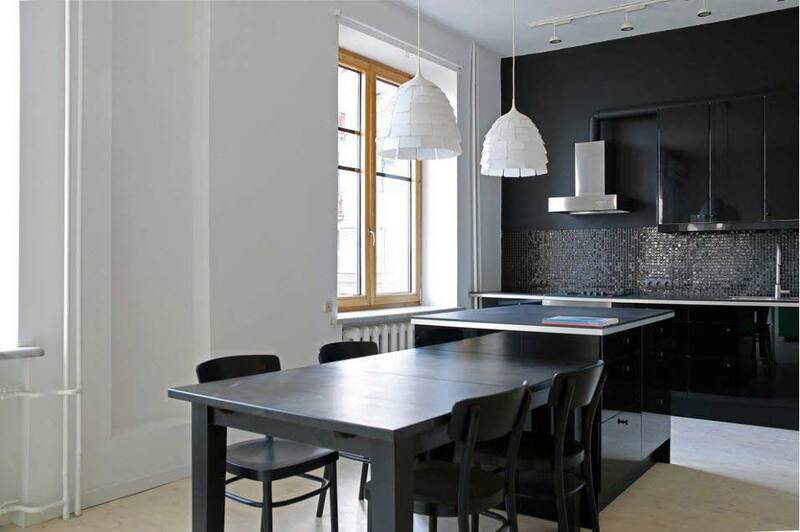 In the example in the photo, this is a large table top with a luxurious glossy surface covered with marble and a noble wenge base. If you decide to choose only two colors for finishing your kitchen, let the backsplash be in an intermediate shade between the floor and the walls or in the color of the walls. 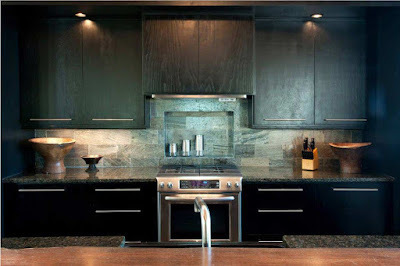 Take on the tone darker - you risk heavier composition, lighter - get disharmony. In laconic interiors with a minimum of details, backsplash, similar to a floor covering, look original. 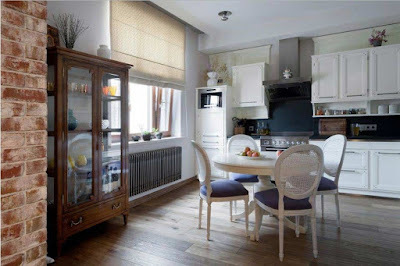 And if they still echo the table top, you get a special, holistic and original aesthetics. 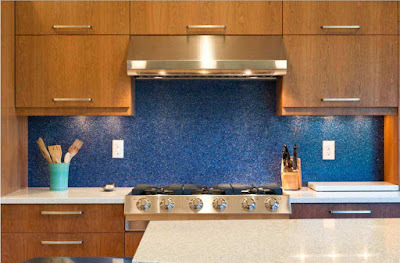 The kitchen backsplash in accompaniment with any other interior item, for example, a table-top, looks very organic. In this case, the color, material, and texture must match. The backsplash can completely fill the space up to the hanging lockers, and maybe just a rim of a certain height, which looks very stylish and unordinary. 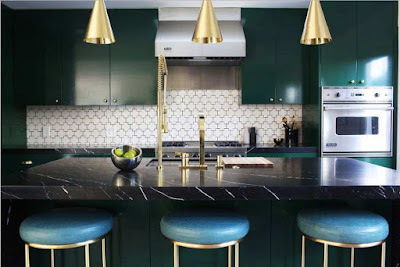 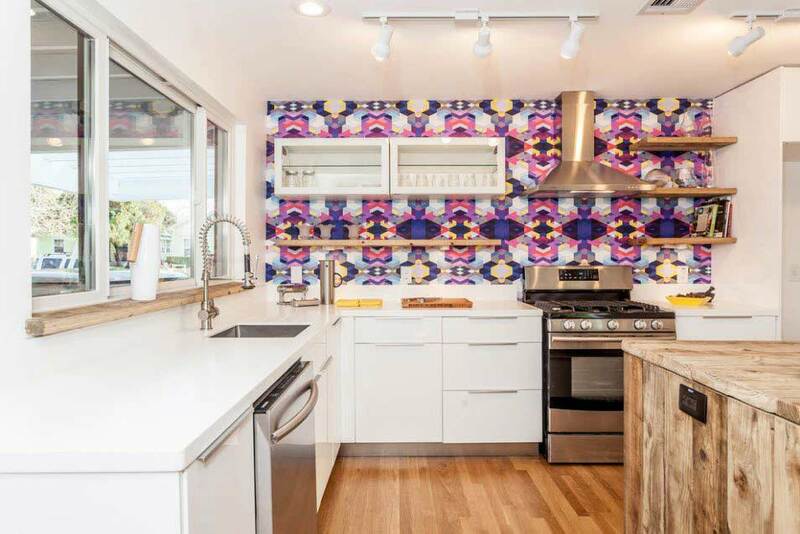 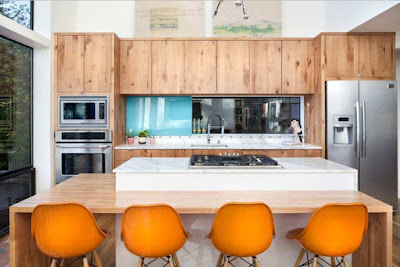 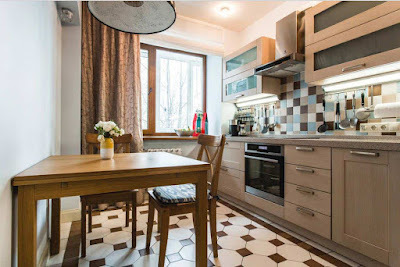 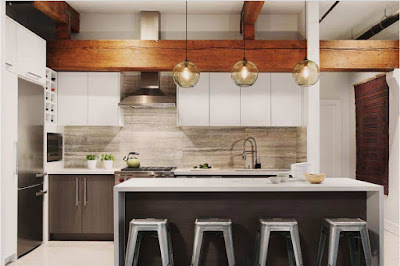 Plus, this solution is that the kitchen backsplash does not need to specifically select a complementary element, because he already has an ideal partner - the table top. 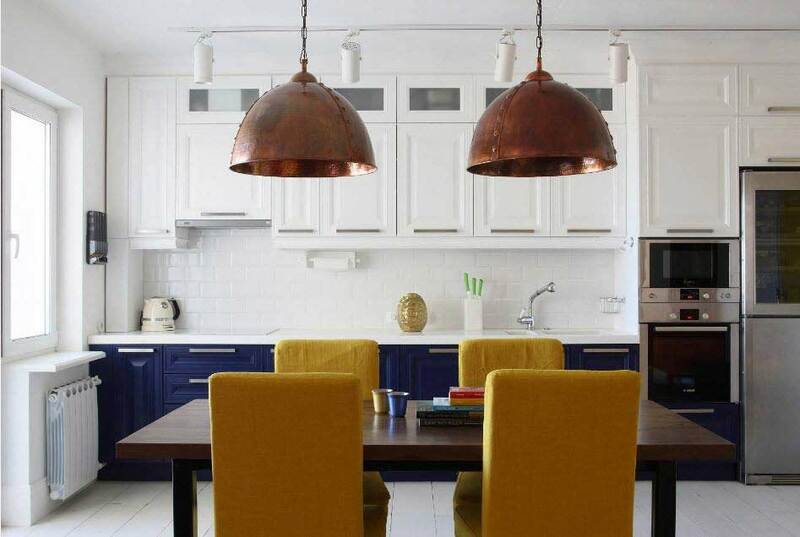 To shade, the kitchen set of white color can be using appliances made of stainless steel and household appliances. 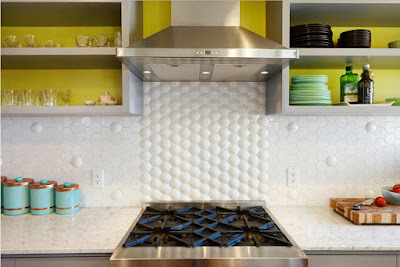 A kitchen backsplash from a large tile with marble divorce here will be an ideal binding component. 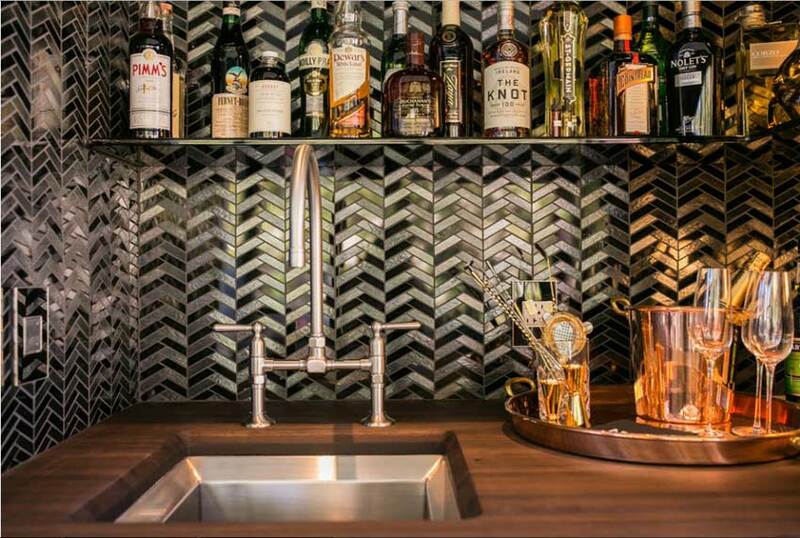 The next photo shows a real bar with a stylish design solution. 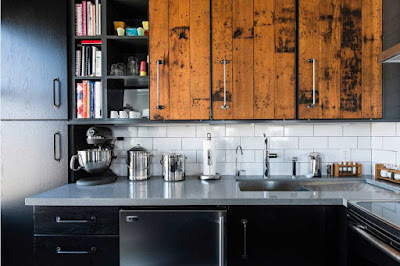 The secret of success is a countertop made of natural wood, a steel mixer, and a spectacular sink. 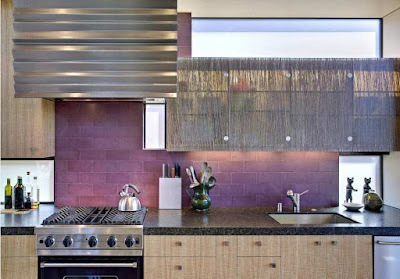 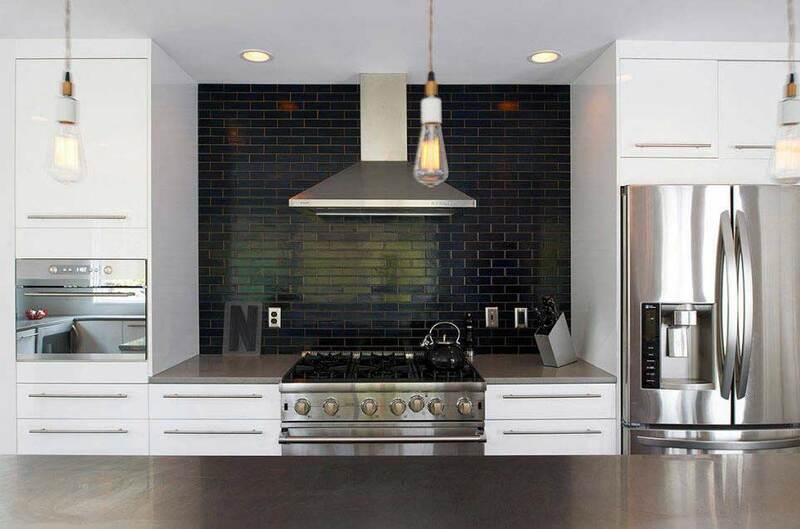 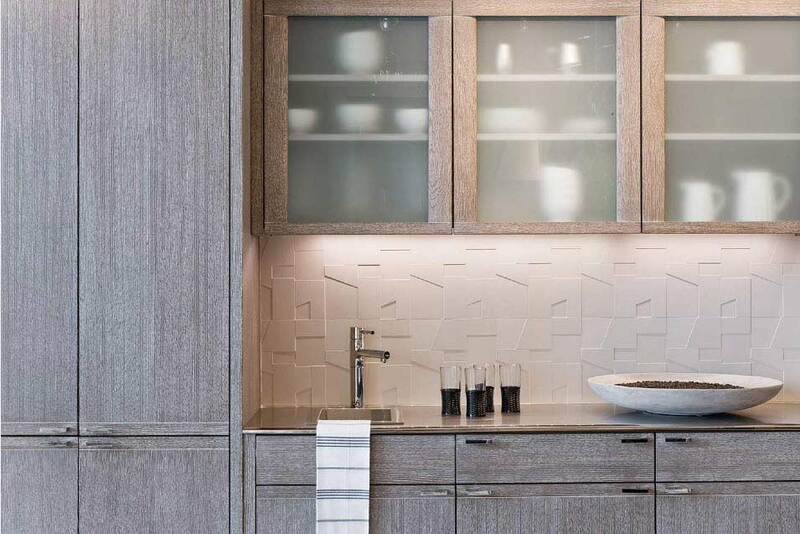 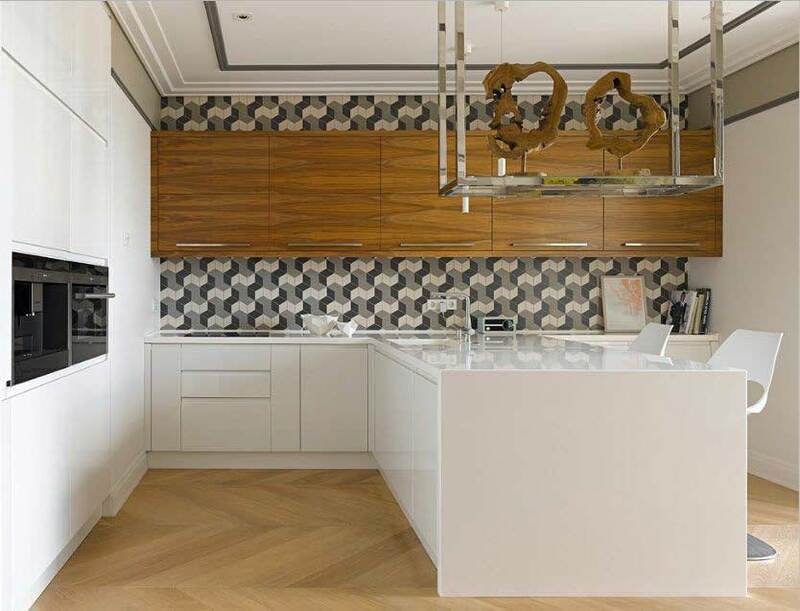 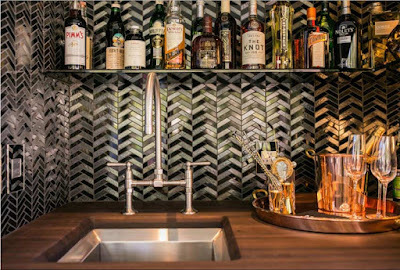 But the main highlight of the brutal design is a glass backsplash in a zigzag design in the form of chevrons. The next photo is another confirmation of the popular quote "all ingenious is simple". 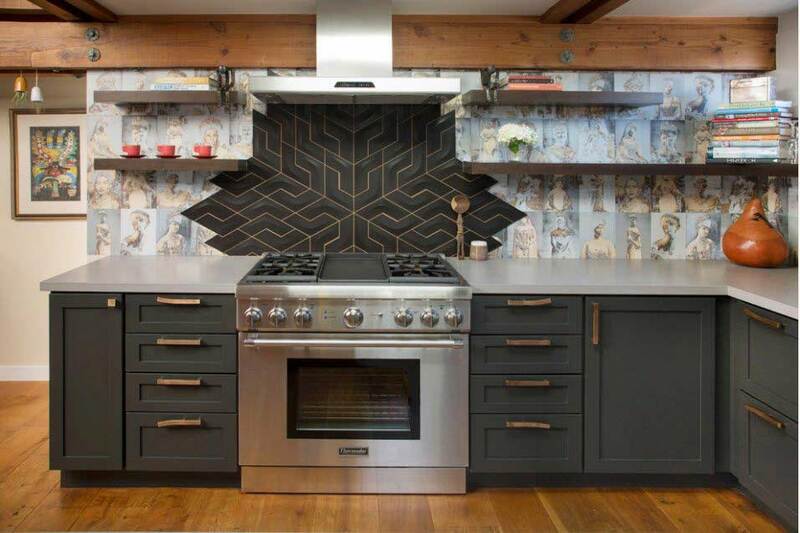 Horizontal black bars are the simplest at first glance backsplash turns into something unique. 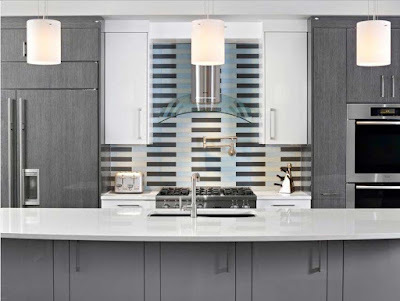 This solution is really an ideal option for those who strive for impeccable style, modernity, exquisite simplicity, and conciseness. Not necessarily a backsplash should be accepted. 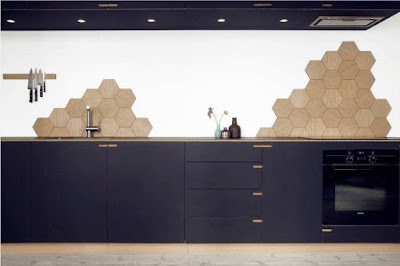 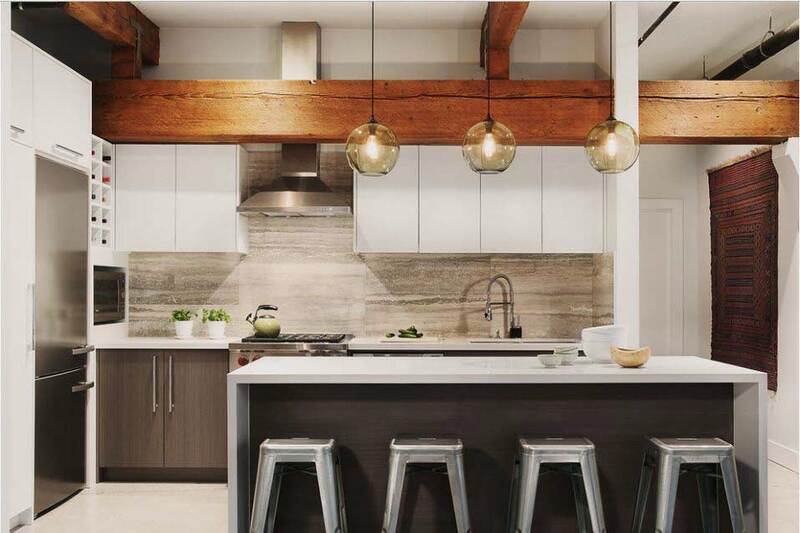 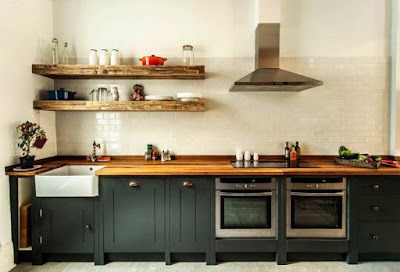 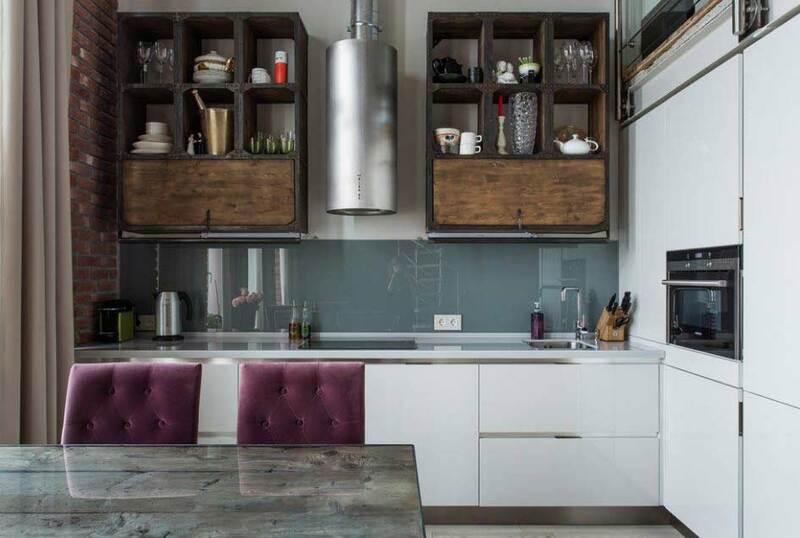 For example, in this example, the designer's idea is to make it a background one, which slightly shades the depth of the beautiful dark façade and the wooden rough texture of the countertop and shelves. 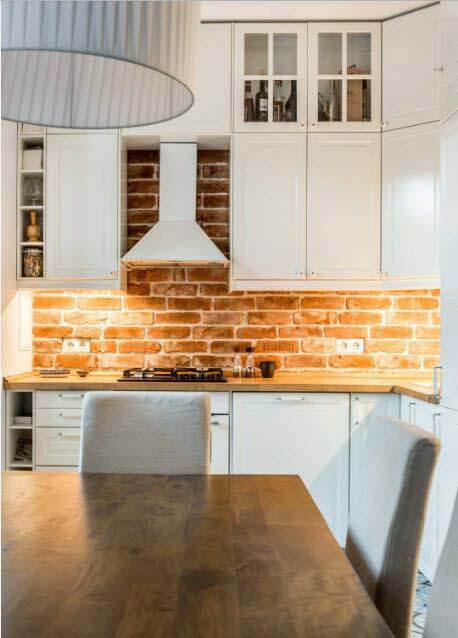 And here the white glossy backsplash in the form of brickwork organically merges with the upper set, highlighting bright yellow chairs and blue facades in the lower part. The highlight of the interior is the expressive lamps in loft style above the dining area.